Big news! 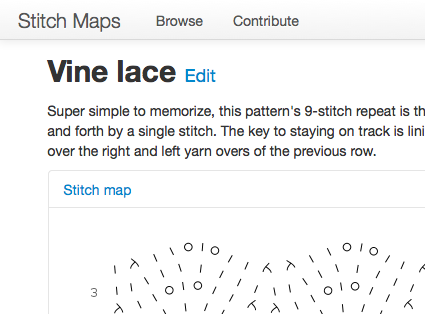 You can now edit patterns that you’ve contributed to the collection. Click that link, and you’ll see an edit form similar to the contribute form. You’ll be able to change the name of the pattern, add to its description, fix typos in its instructions, and update its tags. Have fun with this new feature! And, as always, let me know if you have questions or comments. Edited 5 March 2013: The “Edit” link now appears in the “Actions” pane.